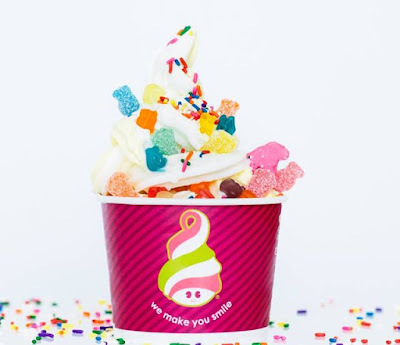 Menchie's will be celebrating National Frozen Yogurt Day by giving out free six-ounce cups of frozen yogurt on February 1, 2016, from 4 PM to 7 PM. No coupon is required to take part in the promotion. As an added bonus, you'll also get a 20% off coupon for your next visit, while supplies last. The coupon is valid February 2 through February 20, 2016. The self-serve frozen yogurt chain will also be introducing two new, limited-time flavors in February: Peanut Butter Chocolate Bar made with Nestle Butterfinger Pieces and Chocolate Candy Bar made with Nestle Crunch Pieces.